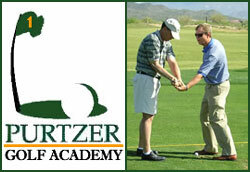 Whether you are an aspiring tour pro or a beginner, you can be confident you will receive the finest golf instruction and complete personalized improvement at the Purtzer Golf Academy; delivered with the same attention that went into helping 5 time Champions Tour winner and 5-time PGA Tour winner, Tom Purtzer, still recognized as having the “sweetest swing in golf.”, NCAA 1st Team All American/ NCAA Player of the Year and winner of 8 straight NCAA tournaments-Lorena Ochoa, NCAA Champion and Player of the Year, Mikaela Parmlid, Arizona State Amateur Champion,Jeff Berkshire, and U.S. Open Champion and 8 time PGA Tour winner, Steve Jones. 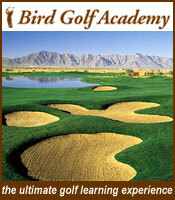 The mission at the Purtzer Golf Academy is to make sure you receive the tools necessary for improved golf play. 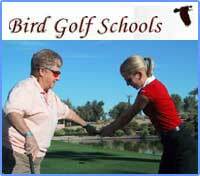 They bring their love for the game, personal understanding of the physical, emotional, and psychological elements key to improvement, knowledge of the golf swing second-to-none, with a sincere commitment to provide continuing guidance and support as your game progresses. This formula provides excellent results for individuals and corporate clients. The Academy is directed by Paul Purtzer and includes participation from Paul’s brother, Tom Purtzer. Paul is a two-time winner of the Arizona Open, three-time All-American at Arizona State University, and a former PGA Tour player. Tom is a five-time winner on the PGA Tour, and established himself on the Champions Tour with not only his victories but by setting a course record 60 at the Toshiba Senior Classic and as #1 in driving distance on the PGA and ChampionsTour. One of Tom’s most recent victory was at the ATT Champions Classic in Valencia, CA where he shot 206 (10 under par) and beat Loren Roberts in a 4-hole playoff. 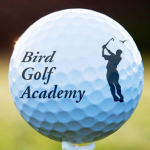 The Purtzer Golf Academy blends superior technical expertise of the golf swing with the first-hand knowledge of executing it on the golf course to help you play your best and enjoy the great game of golf.